Wow!! 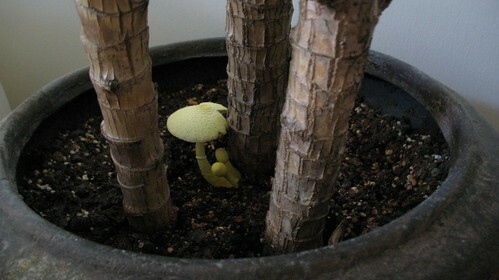 Googling “mushroom growing on houseplant” really works! 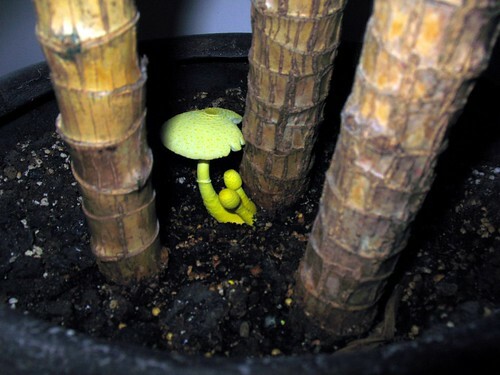 You know, now that I know leucocoprinus birnbaumii won’t hurt me or the plant, I feel happy that it has decided to perk up my day by growing on my houseplant. I love mushrooms. They are so cool. They’re cute! And after looking around on the web, they seem to be reasonably common. Yay mushrooms! Normally you’ll see mushrooms where there is decaying matter. I would assume you have some pine bark in the soil mix. I have no idea, Gary. 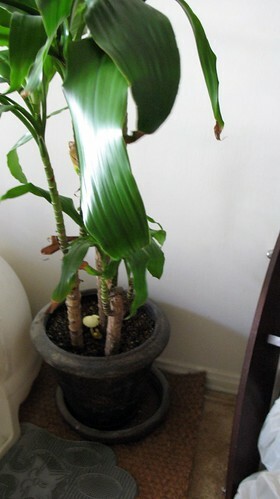 I inherited this plant from a neighbor and have never done anything with it but water it! Thank you for commenting! Are you sure it’s not two leucocopenisi and a umbrellaumi? Are you properly installed in Palo Alto now?